Working with WOTR for a considerable amount of time now, I’ve got exposed to the issues surrounding water crisis. I’ve learnt about the impact it has on the day-to-day life of people and the economy of the rural India. Alongside this, I also got acquainted with the collective efforts taken by the rural communities to counter this issue in the support of WOTR team. It has been an overwhelming experience to understand the perception of the rural population towards such problems, while simultaneously witnessing the positively changing ecosystem and economy. By taking all these experiences back to an urban space, where I reside, I have subconsciously become more vigilant towards the use of water. Also, it was shocking to read and discover the data on urban mismanagement, misuse of water and its contribution to depleting water resources and the projected crises of the future. This article is an attempt to put forth my personal experiences and also, appeal to the community around me to contribute and try to halt the fast-rising issue of water crisis. There’s a resilience in the farming community that often gets overlooked – a community that has, over generations, developed its own methods and practices of dealing with the unhindered forces of nature. These practices are, unfortunately, being put to test owing to the changing climatic conditions all over the earth. As unpredictable weather patterns keep baffling the farmers, the need for an intervention is apparent to level the playing field. In this regard, we shift the focus on WOTR’s weather advisory initiative which is a real-time, localized, early-warning system which disseminates information directly to the farmers via SMS services. 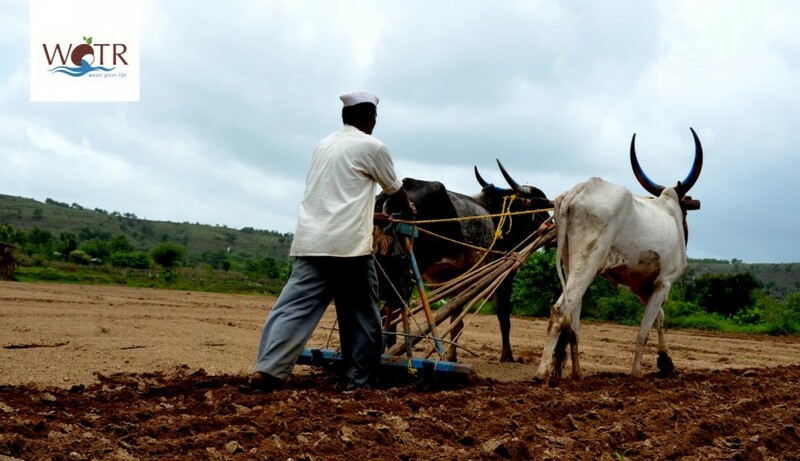 Looking at the effectiveness of the intervention from the vantage point of the farmers brings out the socio-economic complexities which are rarely apparent on the surface.